The inspiration for this web page comes from the graphic ads found in Johnson Smith catalogs and adventure comics of the 50s, 60s and 70s. My friends and I were fascinated by these ads enticing us to buy some scientific marvel. Incredible! Unbelievable! Eyeglasses that let you see through walls. The secrets to super-human strength. Scary seven-foot tall ghosts that do your bidding. The promise of X-Ray vision. The ability to throw one’s voice. Raising frolicking sea monkey pets. It took repeated disappointments and a dwindling allowance to open my eyes. The sad fact is that these advertisements didn’t always tell the truth. In 2015, I came across a book by artist and historian Kirk Demarais, who runs the Gen X nostalgia site Secret Fun Spot. In his book “Mail-Order Mysteries,” he reveals what you really got when you ordered any one of 150 supposed scientific marvels. Encouraged by his work, I set out to create a comic book and web page that celebrates this graphic style of advertisement while tempting you with some Totally Thrilling Science that really does work! 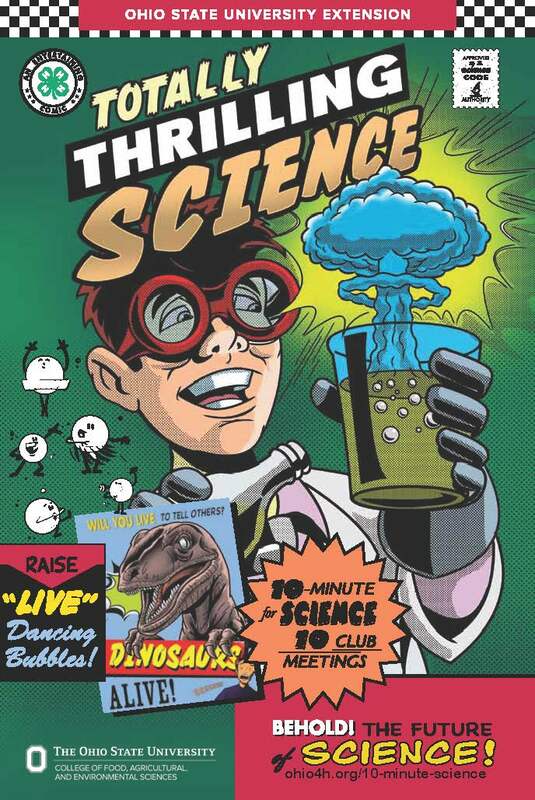 The topics are a compilation of science activities that my friends and I created or modified over the years. I hope you enjoy them as much as we do! These ten 10-minute hands-on science activities guarantee fun at club meetings and other gatherings. Presented in a vintage comic book format, the activities are engaging, easy to implement, and appropriate for all ages. Teen leaders and non-science adults can lead them! Materials are likely to be on hand or are readily available at grocery stores or other retail locations. Take the starch out of club meetings by adding fun activities to your agenda! Click HERE to preview. Order your classroom or club set of 25 HERE. Uh oh! We found a typo! The experiment called Be the Life of the Party (pages 5-6) requires a 4-inch rubberband, not a 4-foot one. That's good—a 4-inch one is much easier to find! Why is Nesquik so Quick?